How Does Remote CCTV Monitoring Work? Are you planning to install CCTV cameras at your home or business premises? At RE:SURE, we offer remote CCTV monitoring that will help you prevent potential break-ins, ensuring you’re worry-free at all times. If you’re already planning to install these cameras at your home or place of work, you’re probably wondering how they work. Below we explain in detail how the RE:SURE remote CCTV monitoring system can help you improve the safety of your home or office space. At RE:SURE, we offer three distinct services: RE:SURE Home CCTV monitoring, RE:SURE Business and RE:SURE Go, (a range of smartphone safety apps, a personal safety app, lone working apps, and a taxi driver app). What makes us stand out in the overcrowded security market is the fact that our system is not there to record a crime taking place – it is there to prevent it. Regular alarm systems may be loud, but they do nothing more than alert you or your neighbors that a break-in might be taking place. With so many false alarms going off every day, most people no longer mind them, and the chances of someone calling the police when an alarm is triggered are slim. Even if the police do arrive – all they can do is investigate. Your valuables are already long gone. Traditional CCTV systems are a shade better option than alarms – but they are simply passive systems that will record a crime taking place, which will again not do much for your stress levels and the protection of your belongings. Yes, you will likely have footage to show to the police. But if the criminal is smart enough, they will have hidden their face, so you are not that likely to identify them. RE:SURE offers remote monitored security CCTV systems that, when triggered, transmit a live video feed to our security centre, where our trained operators will be able to challenge the intruder, notify you and the police if need be, and effectively prevent the crime from unfolding. The great thing about remote monitoring through the use of CCTV cameras is the fact that your home or business premises will be monitored whenever you need them to be, thus driving a care from your mind. Our system will not monitor your home at all times – only when you choose to arm it, and only when the smart camera detects movement will we jump in to see what is unfolding. Our control centre staff will then be able to view the images coming in from your home or business premises, and determine if there is a threat. If so, they can take the next step in crime prevention. What makes our system so effective is the fact that our control room staff can challenge the intruder via the audio system, and let them know they are being watched and that the police are on their way. This is often all it takes to send a burglar running. Our cameras are smart enough to detect the movement of cars and people – so our control centre will know what is happening on your premises. The great thing about our services is that you control when the cameras are turned on. This ensures that if you’re not at home or there’s no one present at your work premises, they are still safe and secure at all times, protected from theft and the destruction of property. If the system notices there’s activity on your property, our staff will be notified of an intrusion. They’ll assess the images captured and determine whether a potential threat is being made to your property, and take further action if necessary. Our staff will inform the emergency services of the security breach at your property. They will also record the footage as evidence for the police. Since we have proof that a crime is taking place, the police are more likely to arrive in time to make an arrest. Our staff will immediately notify you of the threat to your home. You can also leave us an emergency contact, if you yourself are out of the country. The RE:SURE remote monitoring system comes with added security – as our staff can let the burglar know they are being observed, that the authorities are on their way, and that they will not succeed in their mission. This is often enough to prevent crime completely. It is better to prevent a crime that to solve it. 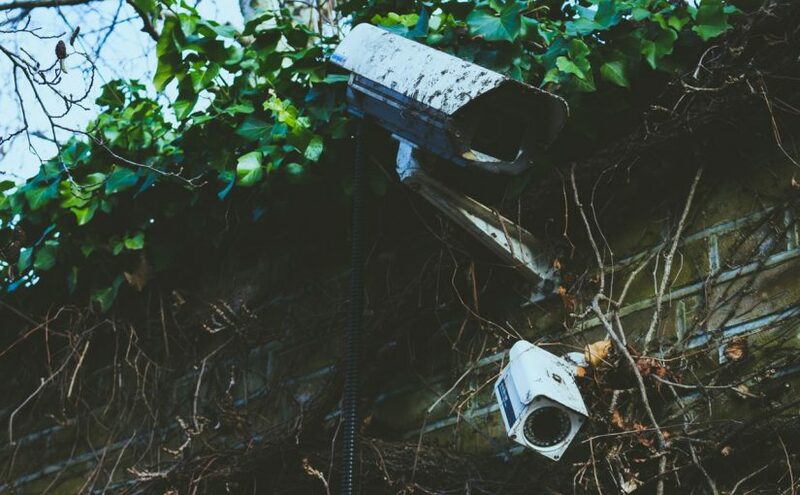 Our system will ensure that your home or business premises stay safe, and it will most often deter any criminal from actually committing the crime, by alerting them that they are in fact being watched. Our system ensures that all the movements of potential intruders are tracked and monitored after they enter your premises, which can aid the emergency services in locating them faster and in a safe manner, if they are in fact not deterred by the audio message they hear. Even when you are not at home, you can rest assured someone is there to watch over it. You can retain a peace of mind, knowing our staff will be alerted at the first sign of intrusion. However, you should also know that we do not monitor the interior of your home – only the perimeter itself, and only when you want us to do so. Our remote CCTV monitoring systems are here to help prevent crime, and they are the best way to ensure you sleep more soundly, and feel much safer in your own home. Unlike regular CCTV cameras which simply capture footage, our system is able to actually deter an intruder from their criminal activity.